The Challenger is designed with the fuel tank under the seat, giving it a low center of gravity. This provides better traction and steadiness on slopes, and also provides extra protection for the tank. The County Clipper Challenger is built with an all-steel frame and welded steel deck. Country Clipper wants to make sure our mowers are easy for you to use. Our stand-up deck gives you access to the underside of the deck for cleaning and maintenance. 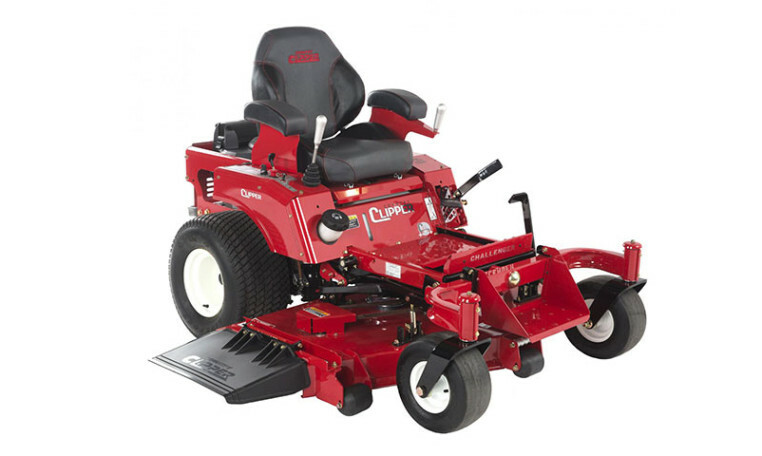 The Challenger also comes standard with a wide front step, making it easier for you to get on and off your mower. Choose the joystick steering option to leave you with a free hand to move low hanging limbs or enjoy your favorite beverage. depending on the model: 52" to 60"
Depending on the model: 18 3/8" to 21"